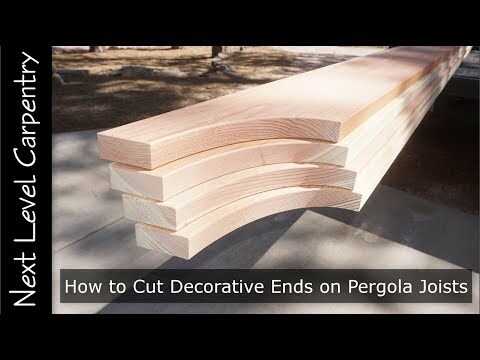 Learn tricks from a master carpenter for cutting decorative ends on pergola joists. Watch how to layout and create a pattern for cutting and routing an elliptical profile with professional results using basic tools and shop equipment. Any purchase made through this Influencers page is the SAME COST TO YOU but a small percentage 'advertisement fee' is paid to NLC and helps offset costs of creating, producing and uploading videos like this to YouTube and is greatly appreciated!